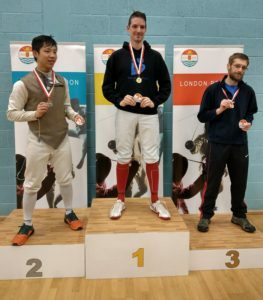 London Region of British Fencing recently held their second annual CAPITAL Open competition and three club members took the challenge. 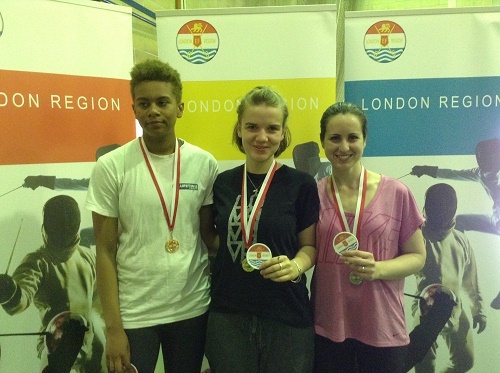 At the inaugral London Region Intermediate Championship on 29th April Madeleine Brettingham added a Silver medal for Ladies Foil to her collection while Decordoba Mitchell-Rowe took the Men’s Sabre Silver medal. 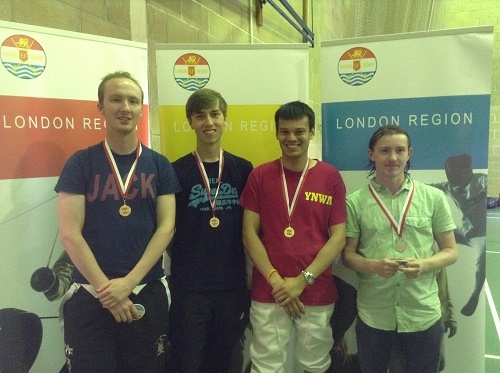 Blackheath’s Dan Hepner (right) took the Foil Plate Bronze medal in the LR CAPITAL Open last weekend. 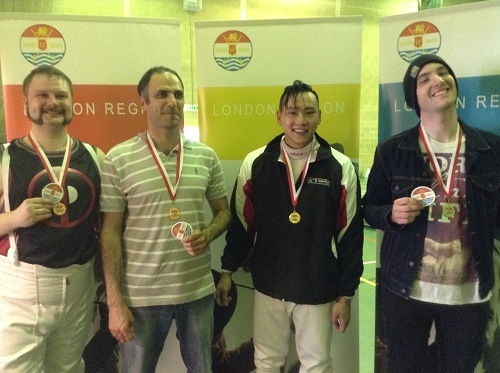 This is a new annual international comp organised by British Fencing’s London Region. 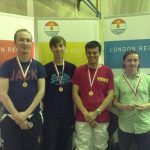 Blackheath past and present members made a good showing at England Fencing – London Region’s Novice and Intermediate Competition at St Benedict’s School Ealing on 10th July. With five fencers competing and four taking medals out of a total entry of 46 fencers on this day of the Euro16 and Wimbledon finals that’s quite an impressive result! 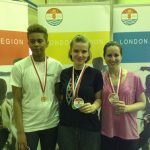 Mable Chambers, an ex Musketeer now at Kent University, took Gold in the Women’s Novice Epee. Having come 5th of 6 in the poules she says her best position is to be 7-10 down in the DE to motivate her to win! And she did! 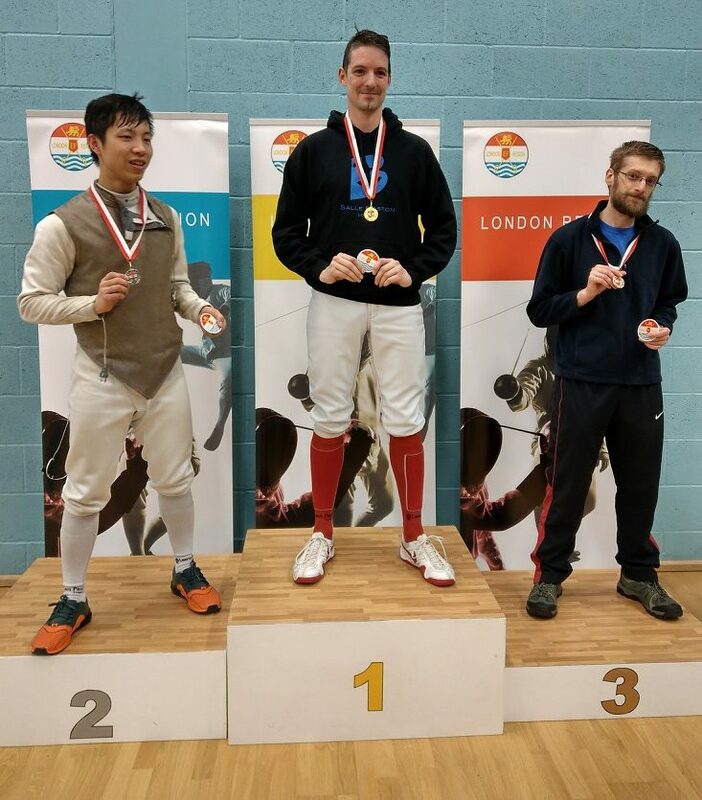 Stephen Wood took Silver in the Mens Intermediate Foil, under the Morley Blades flag but also a Blackheath Fencer in recent months. 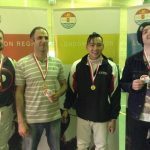 Valerio Radolovich, a beginner in September 2015, took Silver in Mens Novice foil (fencing under Morley Blades but now back at Blackheath after moving closer). For the last 3 years We have been using an eCommerce package to help sell training courses, take payment for Club fees and list typical costs and suppliers of fencing equipment. For technical reasons and increased software licence costs, this will be decommissioned by Easter and will be replaced by a simpler set of pages with Pay Now buttons linking directly to online payment providers. Paypal will be retained as a payment provider but it has become a victim of its own success, taking 50% of fees, and we are now paying £350 per year in bank charges. We are therefore introducing a new payment provider called GoCardLess. This is the same system being used by British Fencing’s new membership system, and other major companies, to take payments using the UK Direct Debit system. It works in much the same way as a debit card, taking payment directly from a bank account. It is all done online with no paperwork needed. Charges to the club for the service are only one quarter those of Paypal! (1% v 4%). and members are encouraged to use this method of payment. Kathryn Bowers, just into her second year of fencing, took Bronze in the Kent U16 girls foil at the weekend. 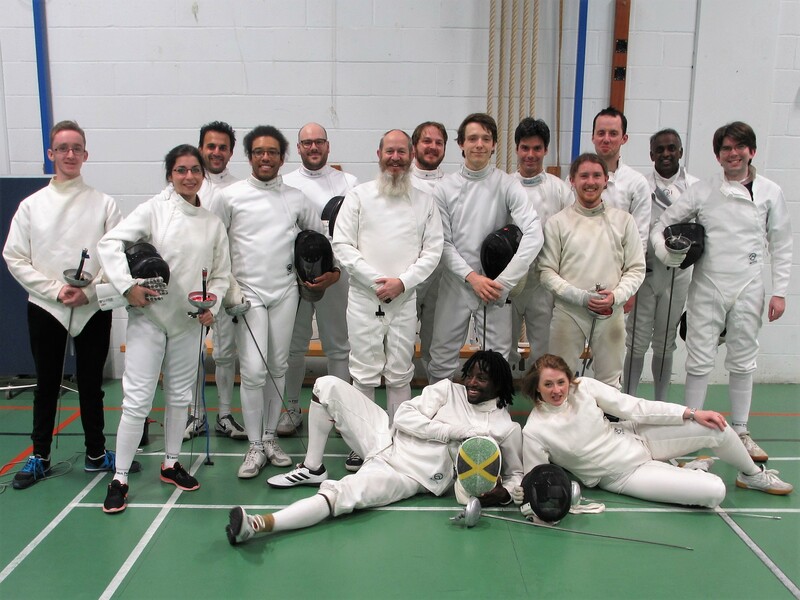 Held at Tonbridge School on 29th November she held her own against a challenging field of 9 Kent fencers. Well done! Ben, our Chairman for 5 years, is planning to move to Ireland early in the new year. He will be standing down as Chairman in December. Ben has been an invaluable member of the club acting as foil to me and keeping control of the Committee meetings! We are also looking for a new Parents Representative for the Committee. As Musketeers cannot vote at an AGM a parent is appointed to act on their behalf. Anyone interested in this important role please contact Andrew. The school is embarking on another long term building project! The front entrance on Vanbrugh Park will be PEDESTRIAN ONLY. There will be no drop off or pick up inside the gates. We strongly advise to drop off and pick up on school side of Vanbrugh Park ONLY to avoid crossing the road if you do NOT want to park. You can also drop off and pickup outside the gate in Mycenae Road. Mycenae Road can only be accessed from Westcombe Park. You CAN park in the marked bays and then go through the side gate to enter the back of the gym right around the corner. Park as close to Westcombe Park as possible.